Barbara Cargill earned her undergraduate degree in Education from Baylor University and a Masters of Science in Science Education degree from Texas Woman’s University. Having taught high school science for almost ten years, she was the recipient of many teaching awards including a National Excellence Award for science teaching. Barbara’s interest in creative, hands-on learning for children combined with a love for science motivated her to found the WOW! program in 1995. The Woodlands is a wonderful place for the WOW! program and the community's response has prompted the creation of many other WOW! science programs. On January 1st of 2005, Barbara was sworn in as a member of the Texas State Board of Education for a 4-year term. She is currently in her fourth term. In July 2011, Governor Rick Perry appointed Barbara to serve as Chair of the board and she served as Chair for the maximum two 2-year terms. She considers it a great privilege to serve children, parents and teachers at the state level in Austin. Even with her busy schedule, Barbara is still able to do school outreach programs, teacher trainings, and birthday parties--if you contact her early enough! Barbara and her husband Terry have been married for 33 years and have 3 precious sons. 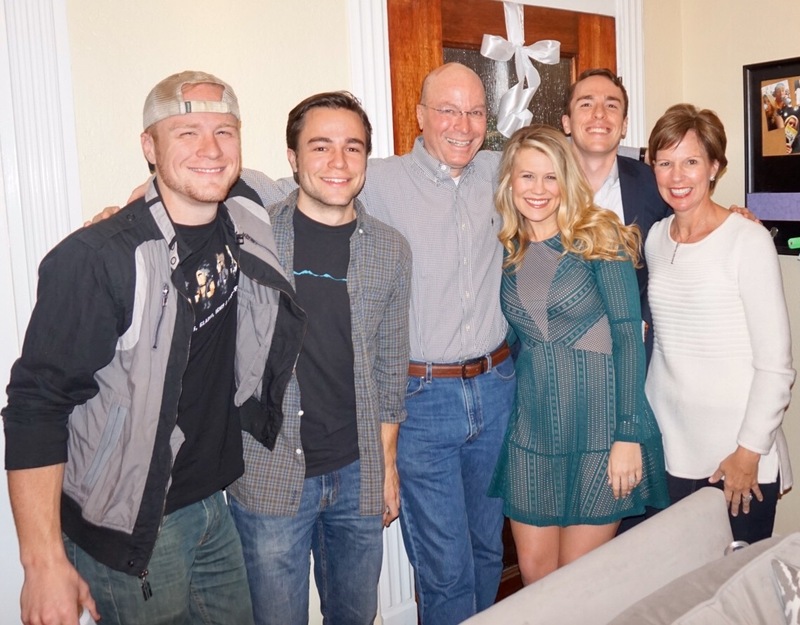 Their sons Blake and Chase are 26 and are graduates of Baylor and Chapman Universities. Connor is 24 and graduated from UT McComb’s School of Business. These boys were the inspiration for Science Camp all those years ago! The Cargills added a daughter-in-law when Blake married Tayler Slocum on January 20, 2018. Barbara is beyond excited to have a girl, especially this awesome young lady, in the family!